My WordPress sitemap page was empty and it took me a while to locate the problem. Hopefully this is helpful to another user. Sitemap.xml page empty. Page only had header information without content. Showed as blank page. I was using the WordPress plugin WPcache which was prevent three different sitemap generation plugins from working. My blog was started back in 2006 with WordPress and over time the categories have gotten crazy out of hand. I write about the shows I work on, my original productions, science, religion, software and everything in between. It’s bad practice from an SEO standpoint and bad for focused business marketing, but it’s my personal blog so it is what it is. As music producers we use a lot of different software formats. With my music libraries alone I counted 18 different companies that I’ve worked with in the last year. Most needing their own installation procedures and authorizations. It’s just part of the business and quickly leads to the no-fun zone. Overall I think customer service across the board has improved greatly in the technology and music app sectors over the last ten years. There are three companies which have really stood out to me above all the rest in 2015 for outstanding customer service. Here it is late 2015 and there is still the grand debate of whether to use Sibelius or Finale as your main music notation software. You can read hundreds of technical break downs that compare the two. Here, I will give you a real-world breakdown of my experience with both programs. 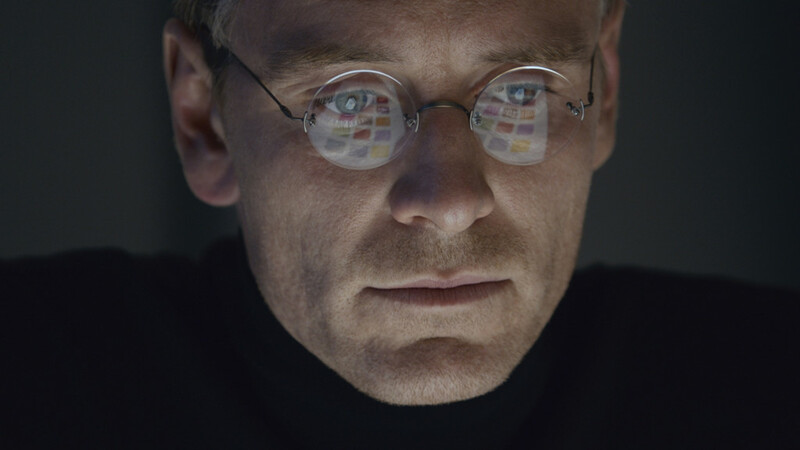 Aaron Sorkin wrote the screenplay for the 2015 movie “Steve Jobs”. I just saw the film and absolutely loved it. It has had disappointing ticket sales so far but has a very respectable 85% review rate from critics on Rotten Tomatoes. 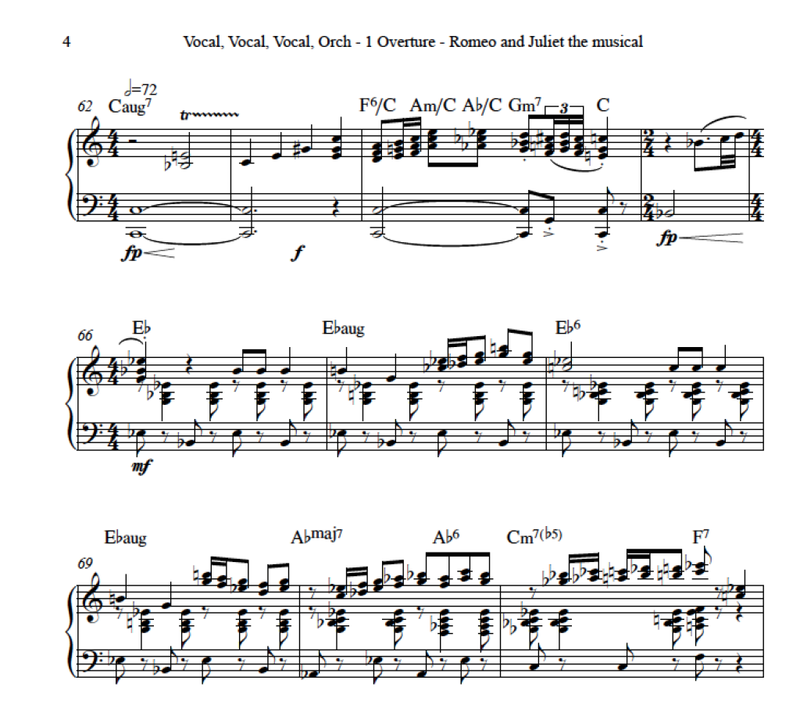 As I’m working on orchestrations for my third full length musical, “Romeo and Juliet” (http://www.RJmusical.com), I realize the need for a particular scoring approach for the Keyboard Two part. Here is the solution I came up with to incorporate Apple’s MainStage with Sibelius for use in orchestrations and creating the final Keyboard Two patch setup. In Sibelius notation software there’s a great feature where part names automatically print at the top of each page. Unfortunately this is also where your song title and subtitle are placed by default. The end result is that at the top header of each page over the first title page, the part title (full score, keyboard/vocal, trombone, etc.) prints on top of the title text and makes it all unreadable. The part name clashes on top of the title header text. BETA testing just opened for everyone that signed up early and opted in. See you soon in The Old Republic! SWTOR.com is Star Wars the Old Republic – an new MMORPG game from Bioware, Electronic Arts and Lucas Arts. Video above are some of the design team stating their opinions of the Sith Inquisitor vs the Trooper. Mmmm……I think I’m sold on the Sith Inquisitor. For those of us playing SWTOR that used to play Warcraft (which is probably most everyone) this seems a little like the Orc Warrior vs. a Rogue with some Mage abilities. My projects are getting larger in ProTools 9 and my MacBook Pro was starting to strain a bit. (2.93 GHz Intel Core 2 Duo, 8 GB ram 1067 MHz DDR3 on Mac OS X Version 10.6.8). Here’s info to optimize your Mac laptop for Digidesign Pro Tools 9. Probably works for optimization with ProTools 8 and below and other Mac computers as well. I think most of us know about the Kindle reader from Amazon.com. It’s a portable reading table and you can download books from Amazon to read on it. What I didn’t know is that you can read Kindle downloads on your computer (or cellphone). Since 2001 I’ve run online discussion forums. PhpBB was my first software but they had a major software exploitation back in December 2004 that brought down my forum network. The release of Phpbb 2 and 3 seemed to alleviate a lot of the problems, but in the meantime I switched many forums over to VBulletin. I haven’t had my phpBB 2.x sites hacked but have had several hacks on VBulletin. They seem to have increased in 2011 with an almost monthly hack on one of my forums. Normally just kids having fun and reading instructions on how to hack using the latest software vulnerability in VBulletin 4.x. But in July 2011, for the first time, I had a hacker use one of my websites as a phishing site. 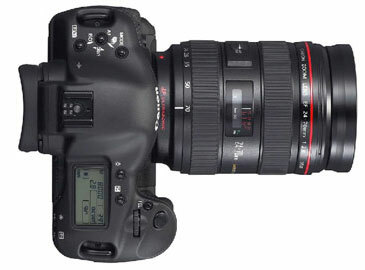 I just love my Canon 5D Mark II camera that I bought a few months ago. But there are issues with the footage being jerky when using IMovie 09. I haven’t quite had the time to jump into using Final Cut yet, so until then you can use a free program called MPEG Streamclip to fix the video stuttering. Android BlackBerry9500 BlackBerry9530 CUPCAKE dream iPhone iPod incognito webOS and webmate. If any problems or errors please leave a comment here so I can look into it. A list of Mac shortcuts for Sibelius notation software that I find useful when writing music notation. Just released on December 21, 2009 – the new VB4 has received mixed reviews. Members of my communities also are mixed on their appreciation. We’ll give it some time to settle and see how it goes with the new CMS. I run forums on both VB and PhpBB. My new pet peeve is real estate agents on Facebook. They become everyone’s friend by going through your friends list and then spam you. Bah humbug. I just received another friend request with “any friend of s0-and-so is a friend of mine!” and I think: Mmmm…I bet this person sells real estate. Sure enough they do; with real estate links and comments all over their page. And all their status updates are about the current market. Thanks for ruining Facebook. So let’s say that YOU are a real estate agent and you haven’t totally alienated every single person in your community yet; here’s tips on marketing on Facebook so you can piss EVERYONE off. Way to go! Add this to my list of stupid tech problems that wasted my time. This one about SIX hours. The Netgear router comes with an installation CD for PC only. If installing on a Mac you need to do it manually. I even tried using my VMFusion side with Microsoft XP to install but would not work. The secret? Clear the cache on your Safari browser! For me it was that simple. Then I was able to connect directly to the router for setup. I hope this helps someone else save many hours. Not able to play high end games on Mac computers. When I upgrade to the new ProTools HD system I’ll need a Mac Pro (the Mac tower). I still have a lot of PC software that I need to run. The price: Around $5,000 fully loaded at 2.93Ghz with 8mb Ram, Final Cut Express, Aperture, Iwork, Aperture and Logic Express installed. Here is a list of software I fetched from a stock install of Fantastico. I feel like a kid in a candy store. Even if you’ve only worked on websites a short time you’ll probably recognize several softwares on this list. I see eleven on the list that I’ve already worked with extensively. Now I’m drooling to try the rest!